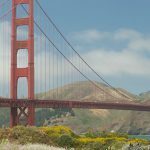 Moving to San Francisco for school or a temporary work assignment can be a troubling experience for anyone unfamiliar with the area. 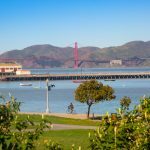 Although San Francisco is one of the most desirable locations in the world to experience, finding affordable housing with high quality amenities is a rarity. Between the many online scams and outrageous prices, some students have resorted to communal housing instead of finding a place to call their own. 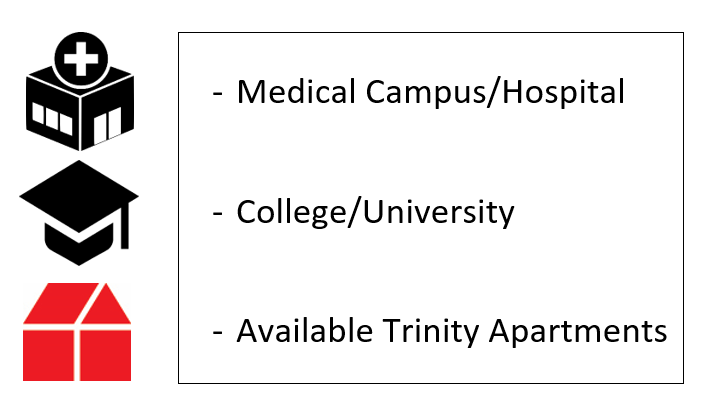 Luckily, Trinity SF owns a multitude of properties that are student-friendly and available for move-in today. 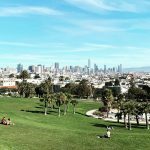 Trinity has seven properties across San Francisco that are fully furnished and available for month-to-month leasing, meaning you just need to bring your suitcase. 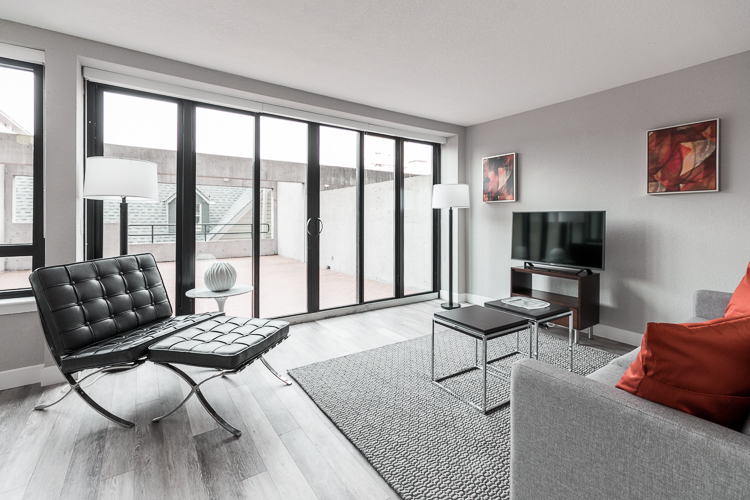 Perched atop Telegraph Hill overlooking Hult International Business School, our 350 Union Street Studio Apartments are the perfect option for anyone going to school around North Beach, Chinatown, or The Financial District. If you’re looking to get away from the bustle of downtown after class, this property is around one mile from Golden Gate University, Babson College, and Academy of Art University. 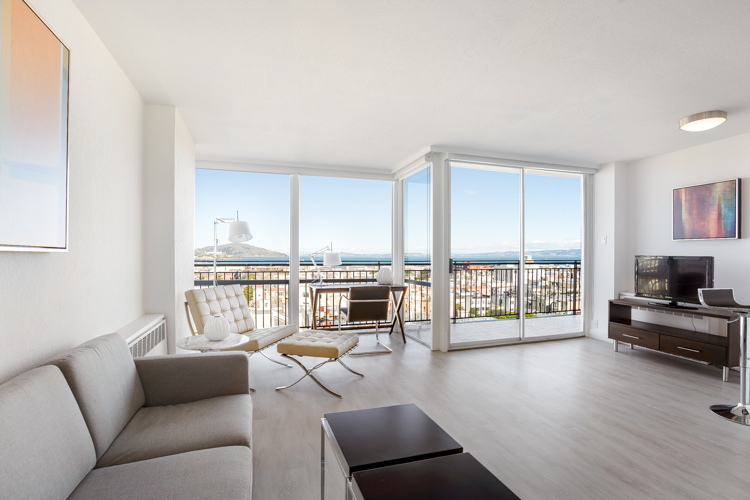 With views across the Bay and downtown, you’ll be able to enjoy a fantastic work/life balance in this stunning location. 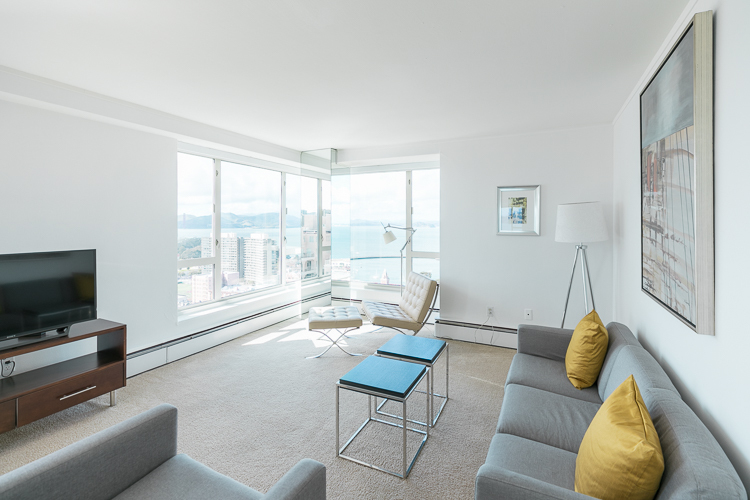 Our apartments at 1550 Bay Street may be a slightly further commute, however the gorgeous location, endless activity, and reliable public transportation make our Marina Cove Apartments a great option for students. 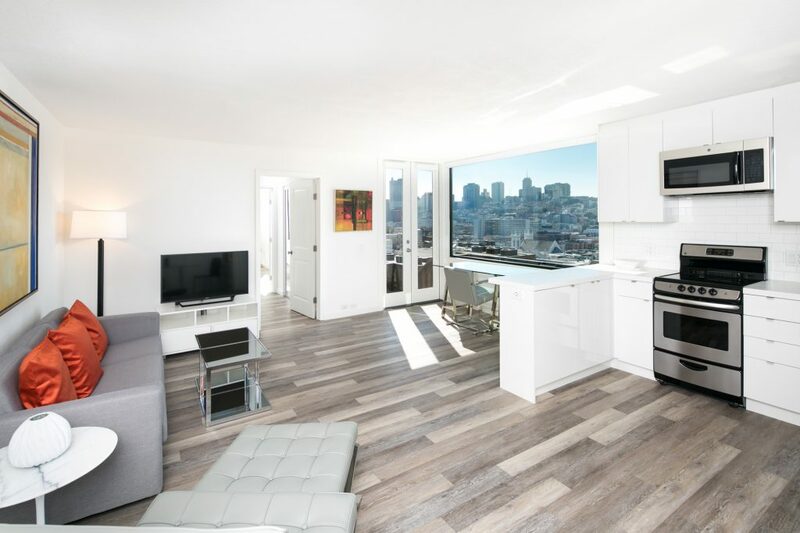 With fully-furnished studio and one bedroom apartments available now, those reporting to campus at USF, UCSF Laurel Heights, or CPMC are advised to check out this property. 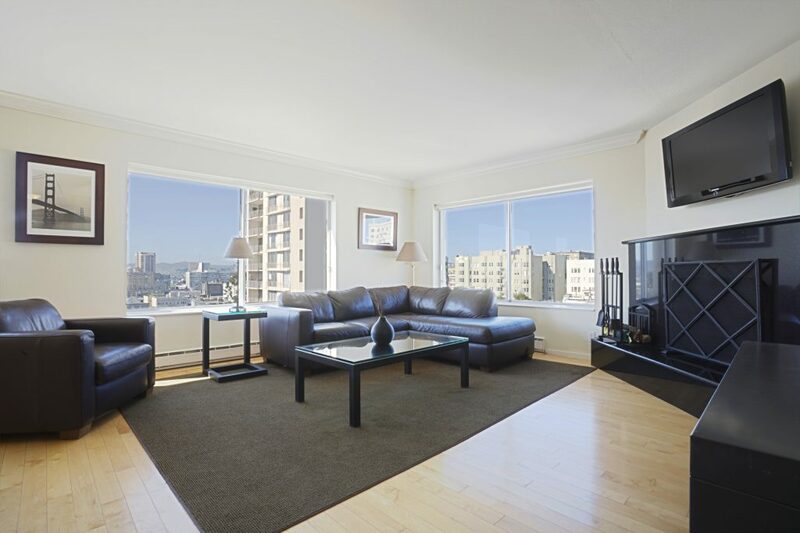 Located near California Pacific Medical Center and UCSF Medical Center, our property at 2000 Broadway is a tremendous option for medical professionals and students. With availability in a variety of unit sizes, You can choose to live here alone or with roommates. This building is located about as centrally as it gets, making your commute to the USF main campus or even any downtown campus a quality option. 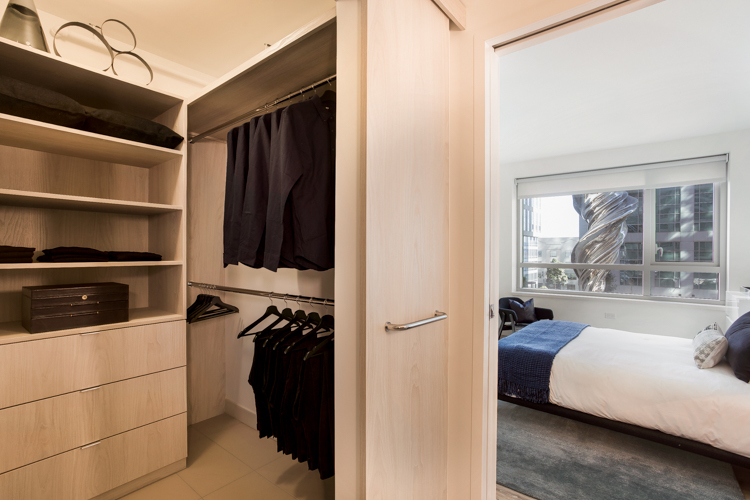 Just around the corner from our Broadway Apartments is the luxurious Clay Park Tower at 1890 Clay Street. This stunning high-rise provides views across the Bay Area and similar to our Broadway Apartments, you can easily commute anywhere. Located near Lafayette Park, this gorgeous building is adjacent to Academy of Art University’s School of Industrial Design. 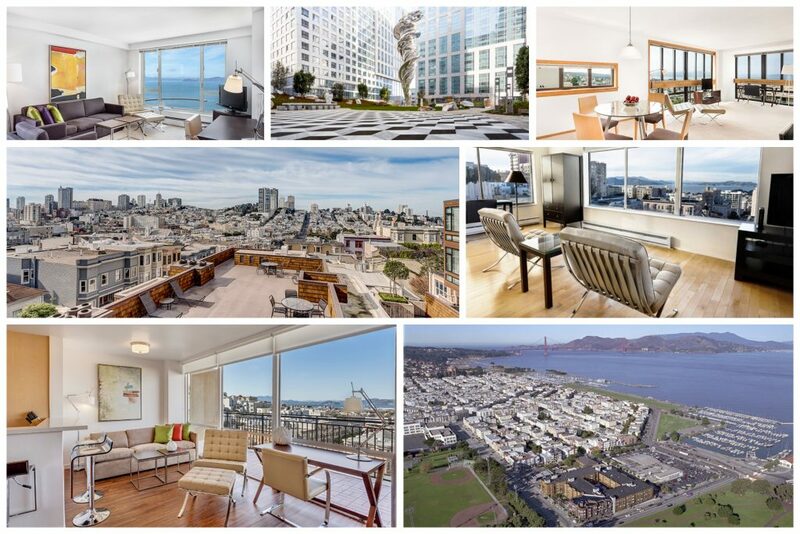 One of the most stunning apartment buildings in all of San Francisco sits atop Russian Hill at 1000 Chestnut Street. This picturesque tower can be seen just behind Ghirardelli Square near the world-famous crooked section of Lombard Street. Chestnut Street is also home to the oldest art school in the United States west of the Mississippi River. 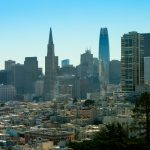 San Francisco Art Institute is a highly prestigious institution and Trinity is proud to help provide housing for its students. Also in the area is Crystal Tower at 2140 Taylor Street. This rare North Beach high-rise comes fully-furnished with unbelievable Alcatraz views and a swimming pool. The North Beach neighborhood is filled with nightlife and a trip downtown takes a mere fifteen minutes. 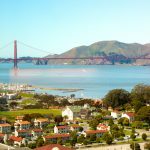 Students attending classes at Presidio Graduate School or San Francisco Law School – Alliant International University are encouraged to view our availability.